Who is in charge of 23 trillion trust assets? 1comment 2019-04-15 10:39:36 source:Trust expert Just do it next week! Steady! According to the statistics of the reporters, since 2019, the positions of the chairman and general manager (president) of nine trust companies including Huaneng Trust and Jianxin Trust have changed. In addition, there were a total of 28 trust company chairman or general manager personnel changes in 2018, more than one-third of the total industry. 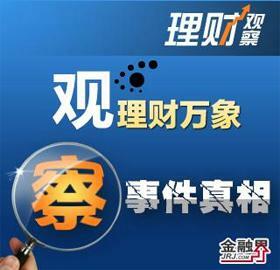 According to the statistics of the reporter, since 2019, including Huaneng Trust,CCB Trust9 homes waitingTrust companyThe position of its chairman and general manager (president) has changed.In addition, there were a total of 28 trust company chairman or general manager personnel changes in 2018, more than one-third of the total industry. According to the latest data released by the China Trust Industry Association, as of the end of 2018, the trust assets of 68 trust companies nationwide were 22.7 trillion yuan. Which executives are currently in charge of this 22.7 trillion yuan in assets? According to this reporter, in the trust company chairman and general manager, many people in addition to the trust background, there are banks,BrokerFund experience. In addition, some executives have been in the originalBanking Regulatory CommissionThe banking regulatory bureau and other regulatory departments serve. At present, the trust industry is in the depth of transition, and strict supervision and transformation pressure are the main reasons for the changes in trust company executives. SeniorTrust researchYuan Jiwei said in an interview with reporters: "Future trust companies need to understand trust, financial management and wealth management executives, deeply understand the law of industry development, be able to dare to break through, make timely strategic leadership, and be able to make full use of the trust system. The real economy and investors do a good job." This year, changes in trust company executives continued the 2017 heat. According to public information statistics, only since March, Cheng Xiaoyun, Chairman of Bohai Trust, Sun Lei, General Manager of Huaneng Trust, and Sun Qingwen, President of CCB Trust,Yunnan TrustThe four trust executives of Ganzi, the chairman of the board, are new. In addition, changes in February were:National trustChairman Xiao Ying was approved and replaced the former chairman Yang Xiaoyang;Bank of Communications International TrustThe former vice president Li Yiyu was promoted to the president. In addition, on January 8, 2019,Huaying TrustAt the company cadre meeting, Tian Yueyong was nominated as the chairman of the Huasheng Trust Company and Jin Jun was the general manager. January 16,Zheshang Jinhui TrustYu Yanmei’s chairmanship was approved.Shanxi TrustOn January 29, the company disclosed that Liu Shuzhen, the chairman of the company, no longer serves as the general manager of the company, and deputy general manager Lei Shujun acted as the general manager. In fact, the personnel changes of trust executives in 2018 are not uncommon, mainly due to the frequent replacement of the chairman and general manager (president) of the “one or two handles”. The reporter combed the silverChina Insurance Regulatory CommissionPublic information and announcements from 68 trust companies were informed that within 2018, a total of 28 trust company directors or general managers had changed personnel, more than one-third of the total industry. Among them, 13 companies involved in the change of the chairman, such as Jianxin Trust, Bank of Communications International Trust, etc. ; 17 general manager changes, such as Changan Trust,China Construction Investment TrustWait. In addition, such asChina Shipping TrustThe chairman and general manager of Shandong Trust and other companies are now subject to change. In fact, the trust industry is in the depth of transition, and strict supervision and transformation pressure are the main reasons for the changes in trust company executives. According to the reporter and many interviewsTrust industryIt is mentioned that the reasons for the personnel changes of trust executives mainly include: the normal transfer of the strategic intentions and requirements of the shareholders, the personal quits for various reasons and the normal personnel change. Among them, the normal change has a relatively high proportion, including retirement at the age of retirement, internal transfer of the shareholder group, and internal promotion of the company. Among the executives who took office in 2018, there are not a few of them promoted by trust companies. such as,China Railway TrustGeneral Manager Chen Chi served as deputy general manager and secretary to the board of directors.Jilin TrustChairman of the board, Ge Ge, served as general manager.Suzhou TrustChairman Shen Guangjun served as the president, and Wang Baokui, chairman of Jianxin Trust, had previouslyCCBHe has worked in the system for many years and has served as Vice President, Executive Director, President and Deputy Secretary of the Party Committee of Jianxin Trust. Another example is Sun Lei, the general manager of Huaneng Trust, who was recently in charge of the middle and back office, and served as deputy general manager. In addition, some of the senior executives from the parent company or controlling shareholder haveGreat Wall Xinsheng TrustChairman of the Board of Directors General Manager of the Great Wall Assets Legal Affairs DepartmentWang WenSoldiers,COFCO TrustThe general manager has been servingCOFCO FuturesGeneral manager,Huabao TrustThe chairman comes from shareholder Huabao Investment. In an interview with reporters, Yuan Jiwei pointed out that “there are many reasons for the change of executives in trust companies, such as the exchange of various business units within the actual controller system, personal reasons or the alternation of the original executives after normal retirement. The general external factors are small. More is an internal factor." However, it is worth noting that behind the frequent “change coaching” of some trust companies, there may be factors such as shareholder changes and performance decline. For example, Huarong Trust, the chairman of the board of directors for four years, in August 2018, China Huarong (2799.HK) had proposed to remove the chairman and legal person of Shen Yiming Huarong Trust, and was appointed as the general manager-level cadre. Trust company risk mitigation and disposal related work. At the same time, in the past one or two years, Huarong Trust's various projects have “stepped on thunder”, involving companies such as Yiyang Xintong and Zhonghong. Despite the “pressure drop channel business” background, the scale of trust assets in 2018 fell to 22.7 trillion yuan, down 3.54 trillion yuan from the beginning of the year. But in fact, in the six years from 2011 to 2016, the asset management scale of the trust industry has increased significantly from 3 trillion yuan to 20 trillion yuan, which has become the second only toBankingThe second largest wealth management market. In the context of the frequent changes in executives in 2018, who is in charge of the 22.7 trillion yuan of assets, what will they bring to the trust industry transformation and company performance? Most trust companies currentlyannual reportThe company's executive information was disclosed in the form of announcements, etc., so that the trust “head” and its background were presented. The reporter has reviewed the resumes of the chairman and general manager of 68 trust companies. In the trust company's chairman and general manager, many people have experience in banking, brokerage, and fund management in addition to the trust background. In addition, some executives also have some executives. He has served in the supervision departments such as the former China Banking Regulatory Commission and the Banking Regulatory Bureau. Statistics show that among the 128 chairman and general manager (president) of 68 trust companies, there are nearly 40 people in the banking background.securities company,fund company,Insurance companyThe experience of the industry is 25, 12 and 12 respectively. In addition, some executives still haveFutures companyThe experience of Jinkong Group, asset management company and other industrial companies. Among them, among the nearly 40 trust executives with bank backgrounds, many “banking” trust company chairman and general manager have experience in banking, such as BOCOM International Trust, CCB Trust, and Industrial Trust. Tong Xuewei, Chairman of Bank of Communications International TrustBank of Communications(Quotes601328,Medical stockGeneral Manager of the International Department of Jiangsu Branch, Vice President of Ningbo Branch, Deputy General Manager of the Head Office of the Head Office, and Li Yichao, former Assistant to the Bank of Wuhan Branch of the Bank of Communications, and the Senior Manager of the Business Department of Wuhan Branch. Sun Qingwen, the new president of CCB Trust, has been serving since February 2017.Construction bank(Quotes601939,Medical stock) Vice President of Beijing Branch. It is worth noting that many trust companies' annual reports show that most executives have experience in the financial industry for more than ten to twenty years. “The financial institution background has more experience in business practice.” Yuan Jiwei believes. 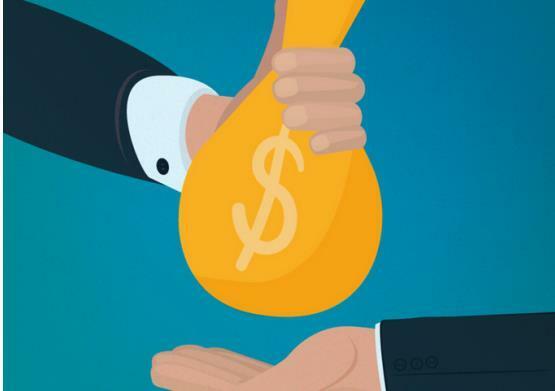 In addition to the financial background, the reporter noted that 13 trust executives came from regulators to achieve a transition from regulators to operators. For example, Xiao Ying, Chairman of the National Trust, and Liu Xiaoyong, Chairman of China Resources Trust,Trust in trustChairman Niu Jian and so on. ServingTrust institutionIn the list of executives, bank executives and regulators accounted for half of the country. “Banks have concentrated the core financial resources and are closely linked to all other financial industries; while regulators have a unique network of contacts, trusts and industries.Regulatory dynamicsA more professional and keen understanding and grasp of the trust company's transformation will be of great benefit. "The above trust industry believes that. The reporter noted that Ganzi, the chairman of the Yunnan Air Trust recently, has both regulatory and banking backgrounds. The industry said that “it is expected to bring fresh blood and more external resources to the Yunnan Trust”. 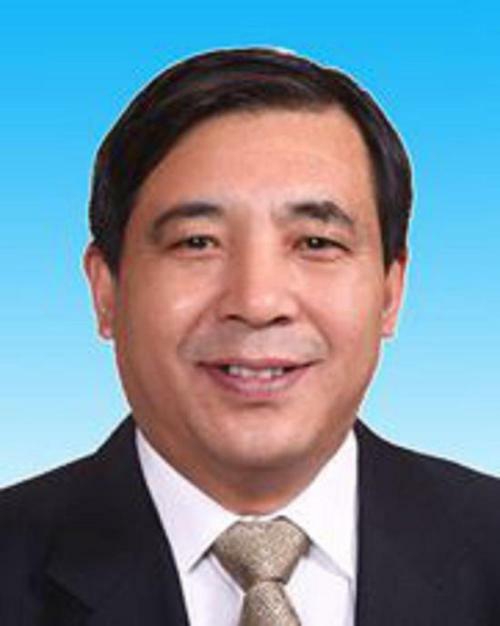 Judging from the resume of Ganzi, it has beenCentral bankWorked with the former Banking Regulatory Commission and served asPeople's Bank of ChinaChief of the Market Access Division of the Department of Management; successively the former CBRCBanking SupervisionThe deputy director of the second department, the researcher at the international level, and the secretary of the office are at the level. From April 2016 to October 2018, I worked there.Ping An Bank(Quotes000001,Medical stock). With the strict supervision of the trust industry, the urgent transformation of the market and the “big capital management” market environment, it is particularly important for the industry to develop the 22.7 trillion yuan trust assets. Shaanxi Guotou's net profit in 2020 was 327 million. The scale of trust assets contracted by 36%. The size of trust assets fell below 24 trillion in the third quarter. Trust assets continued to “squeeze water” and fell to 23.14 trillion yuan at the end of the third quarter. Trust assets continued to “squeeze water” and fell to 23.14 trillion at the end of the third quarter. Is the trust worth paying?